SpyHunter is a safety proven anti-malware tool. DOWNLOAD NOW AND STAY PROTECTED IN REAL-TIME. 1. Press CTRL+SHIFT+ESC buttons on your computer. 2. Click on ‘SpyHunter.exe’ to mark it. 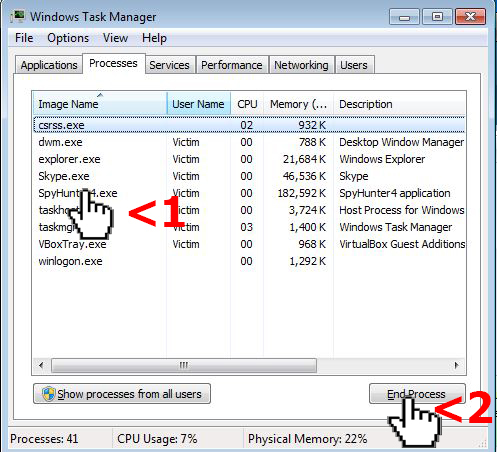 Then click on the ‘End Process’ button on the down-right side of the window. 3. Press the ⊞WIN key. 4. Type in the search box: ‘SpyHunter Uninstall’. 5. 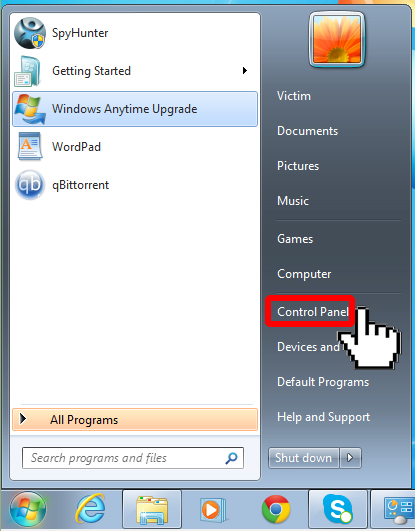 A pop-up window will appear on your screen asking for permissions to remove. Click on the ‘Yes’ button. After the setup is complete, a reboot may or may not be required. 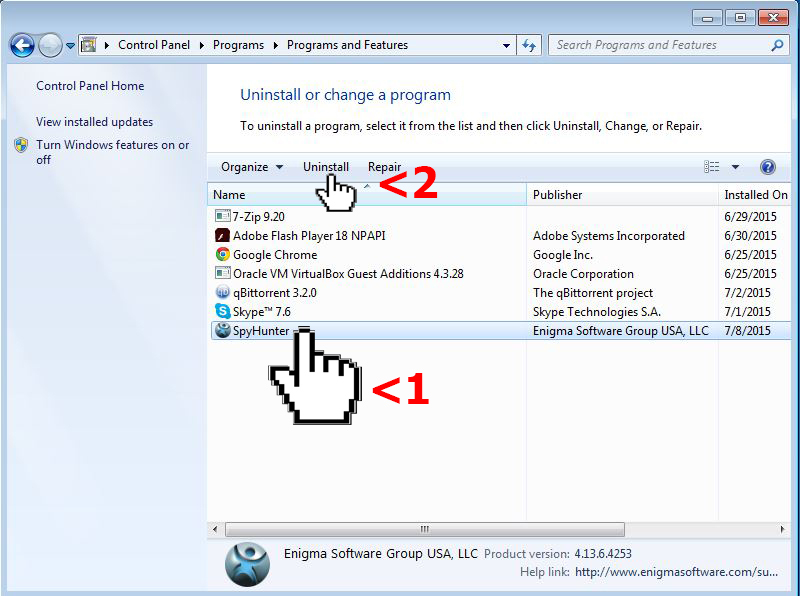 Variant II: Uninstall SpyHunter through the Windows ‘Uninstall a program’ feature. 3. 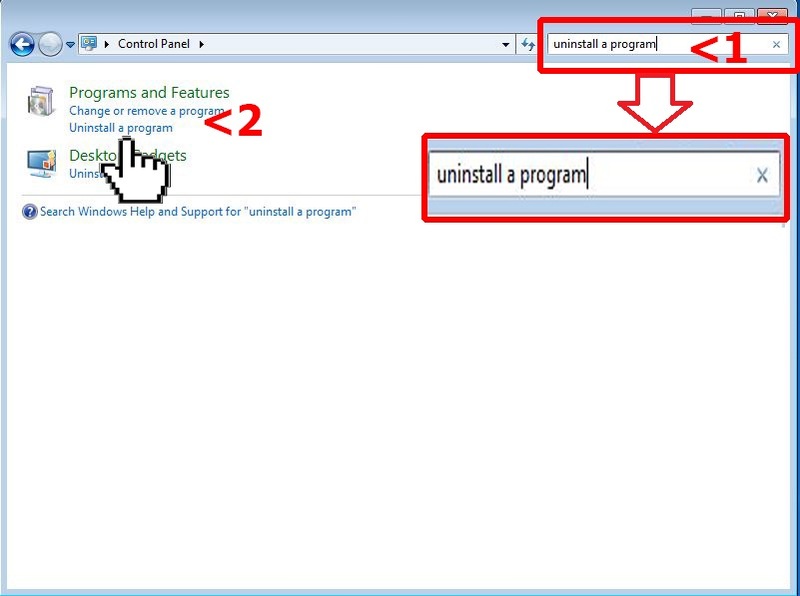 Type in the search box on the top right ‘Uninstall a program’ and click on the button with the text. 4. Mark SpyHunter by clicking on it and then click on the ‘Uninstall’ button above. 1. Press the ⊞WIN + X buttons. 2. A menu will appear on the down-left corner of your screen. 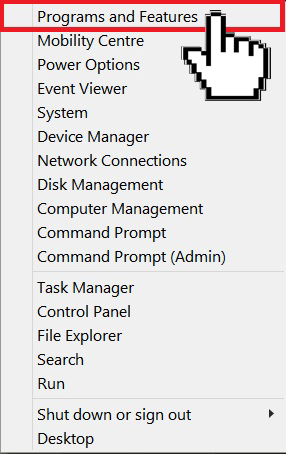 Click on the first option – ‘Programs and Features’. 3. 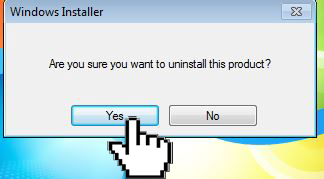 Mark SpyHunter by clicking on it and then click on the ‘Uninstall’ button above. 4. A pop-up window will appear on your screen asking for permissions to remove. Click on the ‘Yes’ button. 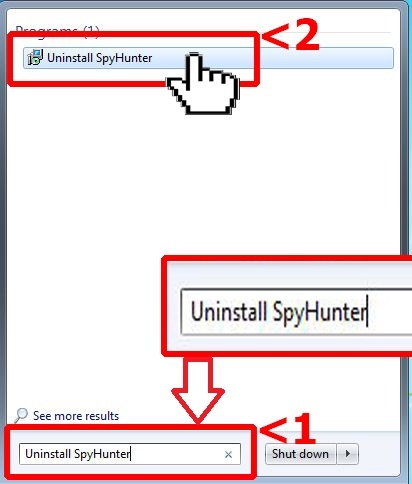 After following these steps, SpyHunter should be successfully uninstalled from your computer.